Diapers are an inevitable part of being a new parent, and when it comes to this subject, there is an entire debate. Parents all over the world choose a side very firmly, and scientists have a long list of pros and cons on both sides. So for a parent to make a decision, they should set their priorities and inform themselves on the benefits either diaper will bring to their unique life. 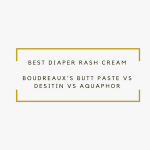 We have compiled the most relevant information there is to know about both diapers so that parents can read and choose for themselves what is the option that accommodates better to their life. 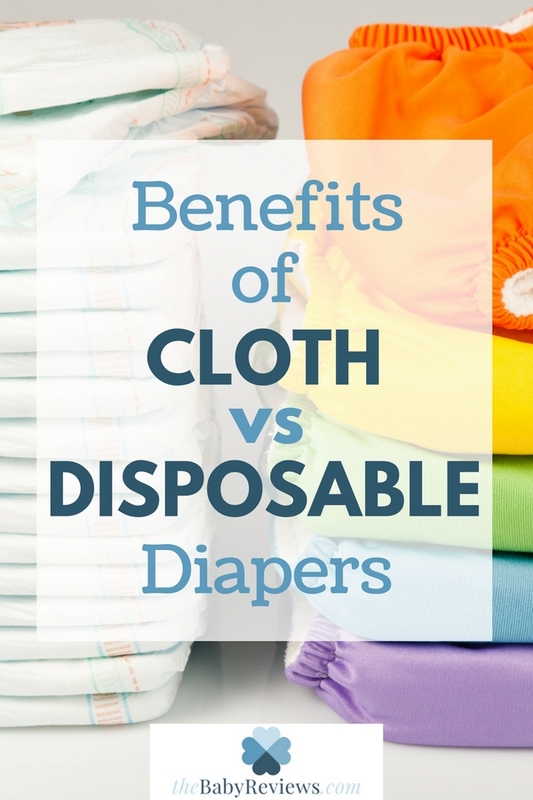 Here are the benefits of cloth vs disposable diapers. Disposable: Maybe one of the main concerns parents all over the world have regarding disposable diapers are the chemicals used in the manufacturing of them. One of the most talked about chemicals is dioxin, a compound that is highly toxic and possibly a carcinogen. Some other agents that cause concern are different types of gases that have been linked to a higher risk of asthma, and the dyes and gels that cause harm to the skin. Most babies manifest some type of allergic reaction to these chemicals, and the chances of them suffering from a rash are way higher (although diaper rash creams and some specific diapers certainly help). On the other hand, disposable diapers tend to be more absorbent than cloth diapers, and they are changed more often, so the baby won’t have as much contact with wetness, lowering the risk of infection and other types of rashes. Cloth: When it comes to your baby’s skin, cloth is way more gentle than disposable diapers. The materials vary, the most common being cotton and flannel, which are considerably healthier choices, with no harmful chemicals involved and a soft feeling for your little one. 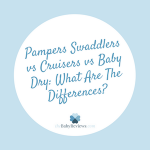 But cloth diapers aren’t changed as often as disposable ones, so the constant moisture around your baby’s skin can cause some irritation and even infection. Disposable: As we said, disposable diapers are changed more often, resulting in a lot more damage to your pocket. The amount of money a parent will spend during the diaper-wearing years of their child is approximately $2,000, which is quite a lot. Cloth: Cloth diapers are reusable, which means there’s no need to buy diapers all the time. The average amount you’ll spend during diaper-wearing years is about $300, taking into consideration the water bills and the detergent. However, a lot of parents go for a diaper service, which basically does everything for you including renting the cloth diapers, washing them, and delivering them to your door. This service is as expensive as $3,500 a year. So depending on whether you’ll be taking care of the diapers yourself or not, the expenses can either be lower or higher. Disposable: There’s no doubt disposable diapers are more harmful to the environment than cloth diapers. By throwing away at least four disposable diapers a day, sometimes more, the amount of waste that this option generates is huge. The plastic used in these types of diapers isn’t biodegradable, and the amount of trees used to make the diapers also does a considerable amount of damage to nature. 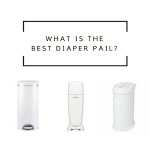 Make sure you have the right diaper pail to help the smell! Cloth: Even though cloth diapers are reusable, therefore they don’t generate an amount of waste that gets even close to disposable diapers, the washing and maintenance of the diapers take up a lot of water and energy. 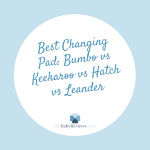 A cloth diaper paired with a foam wipeable changing pad is great for the environment. How About Your Time And Convenience? Disposables: If the thing that worries you the most is convenience and time-saving, disposable diapers are a good choice. No need for cleaning, drying and folding, just take it out and throw it away. It’s easy, and it takes no time at all. Cloth: There’s one thing to take into consideration when it comes to the convenience of cloth diapers, and that is whether you’ll be using a diaper service or not. If you’ll be taking care of the diapers, they will take time and effort, and it won’t be pretty (if you know what I mean). A diaper service will allow you to enjoy all the benefits of the cloth diaper, with the convenience of a disposable diaper. That is, if you have the money. 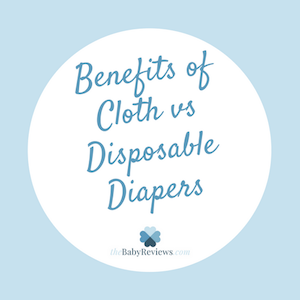 Should You Use Disposable Or Cloth Diapers? It’s safe to say that both options have their pros and cons, and none of them represents a perfect or better alternative. As we noted in the beginning, the decision ultimately comes to the aspects the parents consider a priority. But one thing is very clear after reading the information we have presented to you, and that is that cloth diapers have a lot more pros than cons.